Big Chow Grill . . . an upcoming restaurant review! They have all kinds of options, and you create your own stir fry, but it doesn’t end there! You can also have them make your stir fry into a salad, or into a coconut soup. 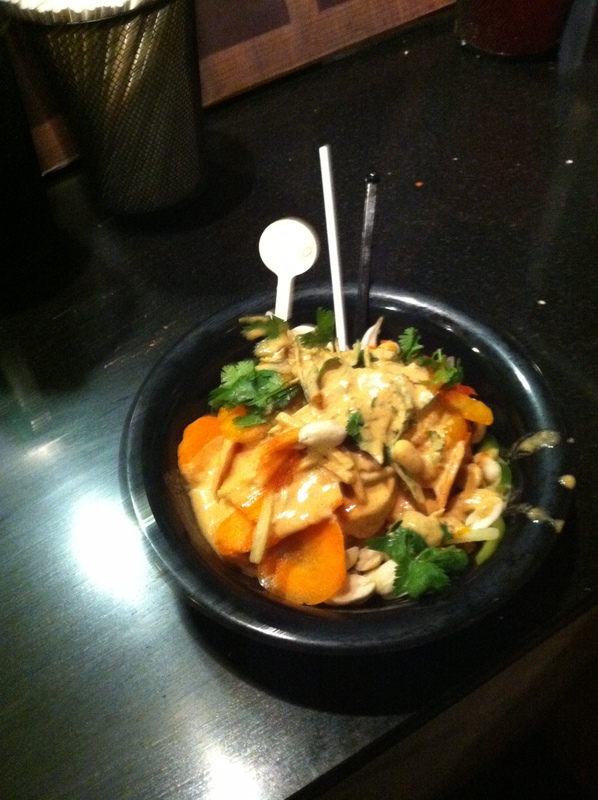 You get unlimited access to the stir fry bar, and can create as many masterpieces as your heart desires! The bowl you see above was the base for my coconut soup, along with some tilapia. Overall, our experience at Big Chow Grill was awesome!! Hope y’all had a great day! Look for the in depth review coming soon, and don’t forget to check the blog tomorrow in order to keep up with my adventures at the GFAF Expo!